The newest National Ambassador for Young People’s Literature is not a novelist. He is not a poet. He does not create picture books, in the traditional sense. 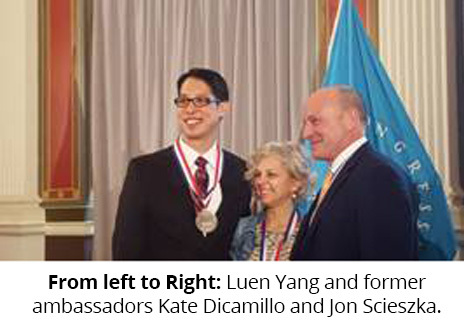 Gene Luen Yang does not fit nicely in a box like many other award-winning, notable authors do. 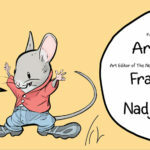 He is an Asian American comic book creator, and he is on a mission to push kids out of the La-Z-Boy® and into literature. Choose a book about someone who doesn’t look or live like them. Choose a book about a topic they might find intimidating. “As American readership gets more and more diverse, it’s natural for us to want more diverse stories. The We Need Diverse Books agenda is this: We want our stories to more accurately reflect our world. Our world’s heroes come from every sort of background imaginable. The same should be true of the heroes of our books.” Many of Yang’s books seem to focus on the Asian American experience and the challenges involved in discovering and accepting cultural identity. 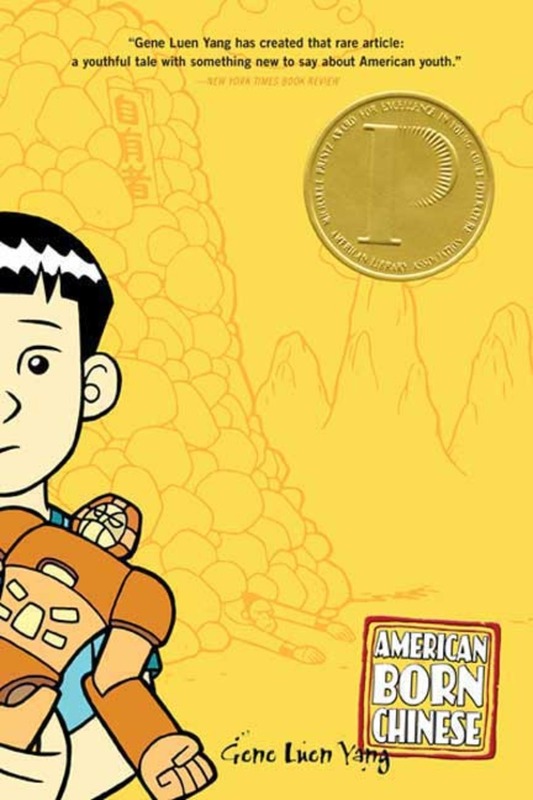 However, he is not writing specifically to or for Asian American kids—rather, he is writing primarily to develop empathy in readers from any background. With at least one of his latest projects, Yang continues to keep Asian Americans front and center. 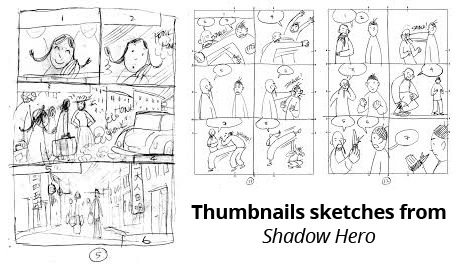 Are Graphic Novels Too Graphic? “We live in a world that’s full of both wonders and horrors. Our children do, too. I’m a parent of four children and my parenting style tends toward paranoia, so I totally understand that deep, primal need to keep kids safe. But ultimately, perfect safety is impossible. Our main task as parents is to teach our children to deal with the world as it is, not as how we want it to be. “Books, including graphic novels, play an important role in that task. The horrors in stories like Maus (Pantheon, 1991), March (Top Shelf Productions, 2013/2015/2016), and Boxers & Saints (First Second Books, 2013) are all real-world horrors. They’re a part of our history and our children’s history. Our children have to know their history. “That said, I do believe in scaffolding, in building bridges between young people and difficult material. My four children can have vastly different responses to the same book. They need different levels of scaffolding. 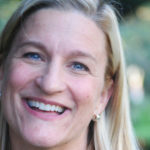 “I know this is idealistic, but my hope is that when a young person encounters something difficult, whether it’s in a prose book or a graphic novel or a movie, they’ll have someone in their community with whom they can process. Stories ought to be experienced in community, because they’re often expressions of community. According to his mother, Yang began drawing when he was two. Yang’s first memories of drawing came a little after that, however. 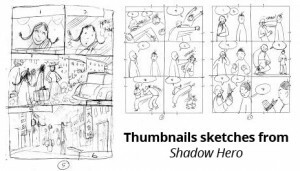 In fifth grade, the budding artist started making comics. And in his early 20s, Yang began self-publishing his work under the moniker Humble Comics while working as a high school computer science teacher. “I originally wanted a cool name like ‘Space Monkey Comics’ or something, but I was having a lot of self-esteem issues. Specifically, my self-esteem was attached to how well or poorly I drew. And as I got into the comics industry, I met cartoonist after cartoonist who could draw the socks off of me. I just started feeling bad, you know? A priest at my home church used to say that humility and truth are the same thing. If you take a truthful look at yourself and your place in the world, you’ll feel humble—and grateful, too. The name Humble Comics was meant to remind me to look at myself truthfully. The self-esteem issues have gotten less intense as I’ve gotten older—mostly because I’ve gotten too tired to keep up that sort of intensity—but they’re still there. I think it’s just a lifelong thing. “Anyway, I began as a self-publisher. I used to photocopy comics at the local copy store, staple them by hand, and then sell them through local comic book shops and at conventions. ‘Comic Relief’ in Berkeley was the first store to carry my comics. Eventually, publishers started to notice me. I signed on with First Second Books after about 10 years of self-publishing comics. 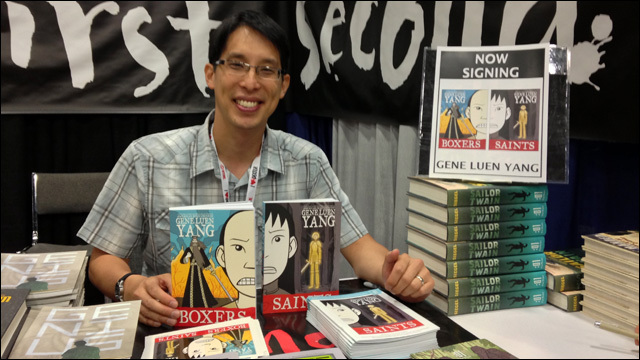 A lot of folks in middle grade and YA graphic novels have similar career paths: Raina Telgemeier, Kazu Kibuishi, Jason Shiga.” In 2014, a year after Boxers & Saints made its debut, Yang left his teaching post to pursue drawing and writing full time. “I’m a cartoonist, but on some projects I call myself a writer because someone else handles the art. When I both write and draw, I have complete control over the project. Every word written and every line drawn comes from me. There’s something very satisfying about that. When I collaborate, I give up some of that control, but in return I get someone else’s vision. The final product becomes a melding of visions, mine and my partner’s. Almost always, it surprises me in fun and interesting ways. Almost always, it turns out better than I’d imagined in my head. There’s something very satisfying about that, too.